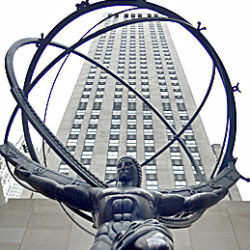 Objectivism is the philosophy founded by Ayn Rand (1905–1982), the author of Atlas Shrugged, The Fountainhead, The Virtue of Selfishness, and other works. It is a philosophy of reason, individualism, freedom, and capitalism. I would love to get the Objectivist community started here on Liberty.me, so please join if you love Ayn Rand or if you’re interested in learning more. Everyone is welcome. I’m looking forward to hearing about everything from your big ideas to your local Objectivist events. My name is Laurie Rice and I work at The Atlas Society (www.atlassociety.org), a think tank for the promotion of Ayn Rand and Objectivism.